Did you see that Wplus9 has a new release?! All the flowers make my heart so happy! I couldn't pick which to use because they are all that good! I really wanted to try something different since I'm always doing one layer watercolor cards. I know I'm getting all crazy with die cuts and layers haha. I stamped my bouquet down in Fairy Dust ink which is light enough that you won't see it after the painting but because it's a dye it doesn't blend out the lines entirely. This is one of my favorite ways to no line watercolor intricate images. I used my Daniel Smith watercolors to paint my flowers after stamping them out. Once I painted them up I die cut them out using the coordinating die. I decided I wanted a bit more color on my card front so I pulled out a second piece of watercolor paper and stamped the flowers again in the right and left hand coroners. I heat embossed and die cut the sentiment then used a few sequins to finish it off. I adore that script font for real! You can head over to the Wplus9 Blog to see a whole lot more inspiration for this release! Beautiful! But I went back four times looking for the video! Gorgeous! I saw the email and thought two Kelly videos in one day! ☹️ I then thought where do you find the time for as many as you do post! Thank you for sharing. What a fabulous card, Kelly! I always love watching you paint. I enjoyed a 1 hour hot stone massage last week - I can only imagine how wonderful you felt after 2 hours! Love your nail polish! I would love to know what brand and colour you used. This is utterly gorgeous Kelly. Beautifully done! Love your beautiful watercolour painted card. I love it that you shows how you colour this, I still have troubles with watercolouring and I learned a lot from you. Thanks for this and your (always) lovely story. I think every mum and dad need occasionally "child free time" so you can reload that is so good for you and your child. 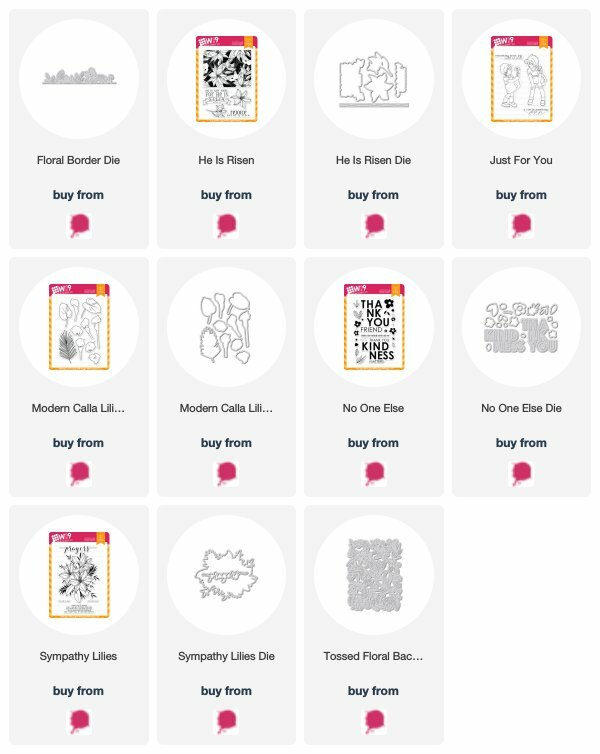 I love the new release its awesome, especially the Flower stamps. Just simply stunning! I actually love the look of the loose coloring in the background. I can see doing that technique for the primary image. And I love my boy too, but know exactly how giddy those precious moments of "me" time are. He's got three of his own now, and I work at paying forward so that he and his wife (my daughter-in-love) can have some non-parent time. Thanks.